Ask The Macro Manager: Can Eating More Slowly Improve My Results? If you’re eating clean, you’re probably eating fast. Remove your fork from the chicken breast and take a quick break. Eating slowly is more important than you think! 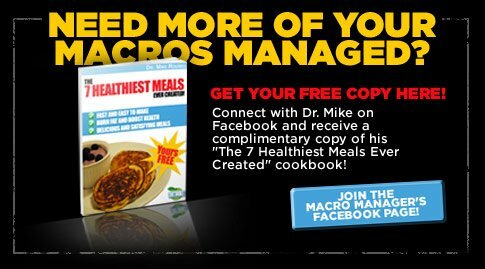 Macro Mike, how important is properly chewing food to nutrient absorption? Should I eat slowly to get the most from my meals? Is there an ideal number of chews per bite? Great question! Most people overlook this important aspect of nutrient utilization. When we think of digestion, we usually think of our stomachs and intestines, but digestion begins in your mouth. Crazy, I know. Scientists call this "mouth digestion" the cephalic phase. Any basic physiology textbook will tell you that saliva contains amylase, an enzyme that begins the breakdown and digestion of starches in your mouth. This saliva salvo helps your body get the jump on carbohydrate digestion and can actually help you stay leaner, longer! Chewing your food as part of the cephalic phase also leads to a preemptive release of insulin by your body. On the surface, this may sound negative. We generally want to control insulin, especially for fat loss. Slow down, savor, and reap the rewards. However, research shows that this small amount of early insulin basically prepares your body for the carbs you're about to eat, resulting in less total insulin release while also keeping blood sugar levels lower and more stable than they would be otherwise. So this insulin pre-release actually helps prevent hyperglycemia and hyperinsulinemia after your meal. The number of times you need to chew your food to reap maximum benefits from this effect is not yet known. However, it is known that insulin released at the start of your meal peaks at 4 minutes into the meal, then returns to baseline levels after 8-10 minutes. What does this mean to you? Eat slower and savor your food! Taking at least 10 minutes to finish your meal maximizes pre-release insulin levels so they can elicit a "calming effect" on your blood sugar. By harnessing and maximizing the cephalic phase of digestion, you'll be stacking the nutritional deck in your favor. So your food will be used for lean-tissue building and not fat-cell padding.